An ever-so-slightly late post to wish everyone a very merry Christmas! I spent most of yesterday spending time with my dog and the family, eating lots of veggie Christmas dinner and lots and lots of chocolate, and watching the usual Christmas TV (I finally got round to watching The Kings Speech, such a good film!) Of course I received lots of lovely presents; ranging from bath bombs to Harry Potter dvds and of course The Sims Pets (I'm a bit obsessed with The Sims and will shamelessly admit this was my favourite present). I might do a Christmas present post but I'm not too sure yet, I absolutely love reading them but they always make me feel a bit depressed, such is life. Anyway, I hope you all have a fantastic Christmas week; I'm looking forward to spending the next few days lazing about, seeing family, eating lots of delicious food and watching lots of Christmas telly. 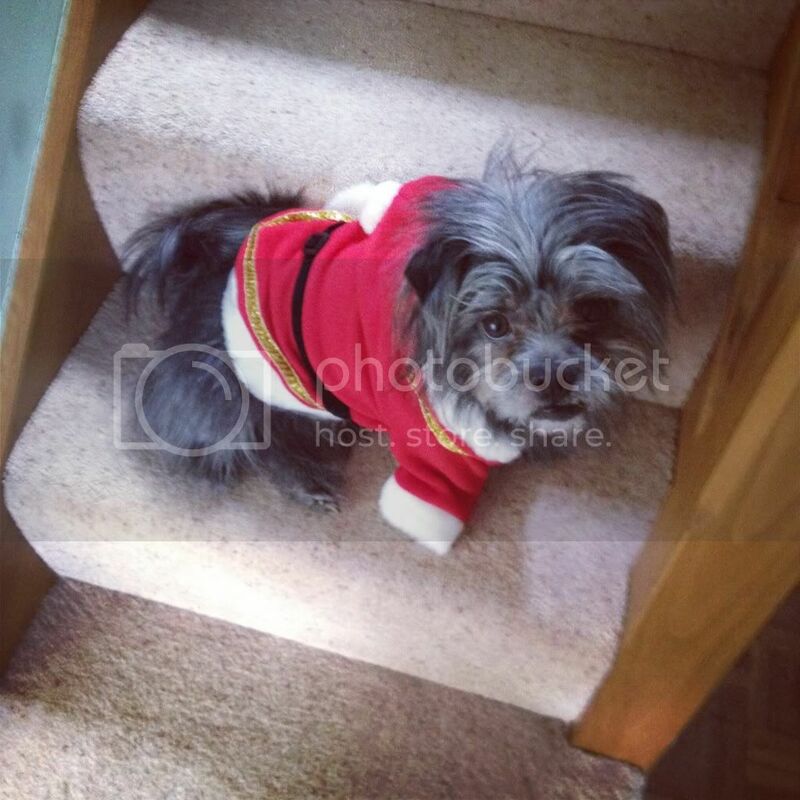 The above picture is of my beautiful pup Rory, who I dressed up as 'Santa Paws' for the occasion. He's such a cutie and very much enjoyed ripping open all his presents yesterday morning! What did you all get for Christmas? I hope you had a fantastic day!